Start with our Mexican Cheese & Meat Board (see photo below) and artisanal salsas served with chips, and guacamole. 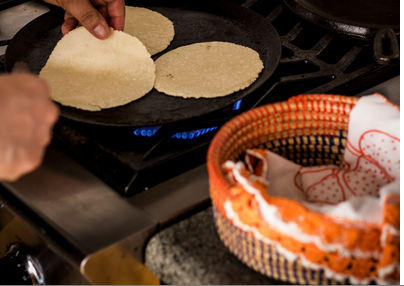 Then, for the main event: handmade corn tortillas, prepared on-site by our tortillera and fired up on the comal. Add your choice of fillings (from the lists below) and we just keep 'em comin' until the last touch down! Margarita Bar available (scroll down here)! Starting at $85/person, including set-up, clean-up, and service.